The two meter long Littrow Quartz Spectrograph at BARC spectroscopy division and the 3.5 meter long Ebert Mount Spectrograph were being used for detection/identification of various metals created in a suitable plasma source by recording their spectra on the photographic plates. 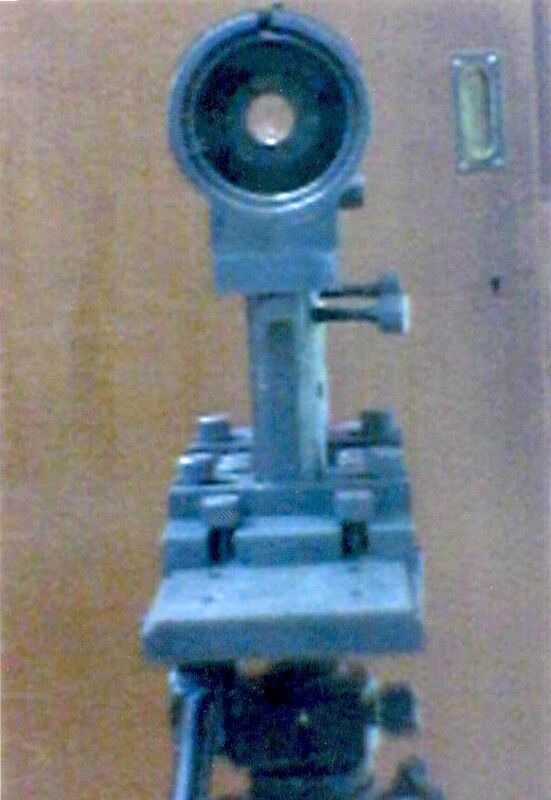 The Littrow-type Quartz Prism Spectrograph in which the focal length of the collimating objective lens is 180 cm and the image of the Spectrum was used to be recorded on a 10 cm x 25 cm photographic plate. The 3.5 meter long Ebert-mount Spectrograph with a plane grating and concave mirror has a collimating and focusing optics whose focal length is 3.4 meters. 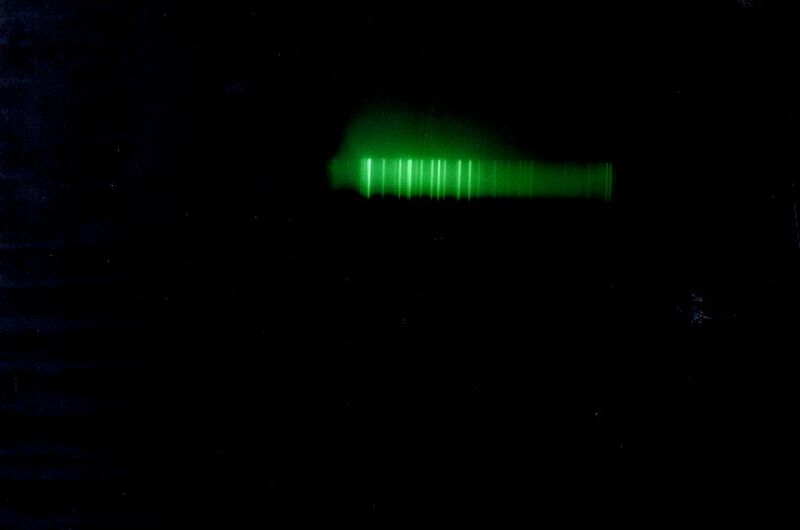 The Spectra was used to be recorded on a 10 cm x 50 cm photographic plate. Due to non-availability of these photographic plates, the users at BARC and Tarapore had difficulties in utilizing these spectrographs for their research activities. A project was therefore initiated to replace these photographic plates with a suitable electro-opto-mechanicalsystem coupled with a UV-Visible range CCD camera which will record the spectra of a given sample. The electro-opto-mechanicalsystem was designed around a fused silica lens (F/1=1, and F.L.= 50 mm) for UV-region, which reduced the original size of the spectra from 10 cm x 25 cm to a size of 2 mm x 10 mm for Littrow Quartz Spectrograph. For Ebert-mount spectrograph the original spectral size of 10 cm x 50 cm was reduced to 2 mm x 20 mm. The suitable mechanical mounts having three independent fine motions in x, y and z directions were designed at WRIC for fine control of positioning the spectra on CCD camera. A PC/Laptop coupled to the CCD camera stores the spectral data and displays the same on its monitor with the help of the appropriate software developed for this purpose. The project was completed in 4 months and both the spectrographs can now be used for recording the spectrum of the desired metal samples. A resolution of 0.5 nm has been obtained which can be further improved by using a high resolution CCD camera. A variable constant current source from 1-10 mA was designed and fabricated. The equipment has been delivered to Physics Department of University of Mumbai and the same is being used extensively by M. Sc students for their experiments on resistivitymeasurements. A characterization technique by slightly modifying the UV-Visible spectrophotometer Shimadzu model 160 has been developed to characterize the solar sensors to be used for the development and fabrication of Ozone detector/Solar spectrophotometer by SAMEER Mumbai. The technique consists of placing the solar sensor to be characterized in place of the spectrophotometer detector and recording its intensity vs. wavelength spectra in the manual mode. A typical spectra is as shown below. This test procedure has considerably helped SAMEER for optimizing the usage of solar sensors in the fabrication of their Ozone detector / Solar spectrophotometer. Further collaborative work has been planned in this regard. A low cost LED sourced colorimeter designed around the microcontroller chip 80552 has been developed and fabricated by us. It makes use of five LEDs covering five spot wavelengths within the spectral range of 400 nm to 660 nm along with an Opto-amplifier as photo-detector. A 16x2 alphanumeric liquid crystal display is incorporated to display the resulting %T and Absorbance values of the liquid samples under test. The rest of the electronic circuit makes use of off the shelf components. The hardware is appropriately supported by user friendly software. The main features of this instrument are 1) auto-adjustment of 100% transmission (T) value, 2) auto and manual mode of selection of the wavelengths and 3) direct digital display of %T and Absorbance. The results obtained on standard solutions were compared with those obtained by i) commercial colorimeter models and ii) Cary 50 UV-Visible Spectrophotometer. The results obtained were better than that of Elico colorimeter and is as shown in the graph below. An experimental set-up consisting of i) Fabry-Perot Interferometer with an interference filter with 7 A0 bandwidth centered at l = 5303 A0, ii) a lens (L1) to recollimate light passing through the filter (D = 66.66 mm, F = 80mm, f/1.2), iii) Camera lens (L2) for imaging. (D = 45.833 mm, F = 55mm, f/1.2), iv) Mercury lamp to calibrate instrument and to determine instrumental profile, was designed and fabricated to (a) measure the Large scale Mass flows in Solar Corona by using Doppler shift, (b) determine the temperature distribution and velocity field in solar corona during the total solar eclipse of 22nd July 2009, for the M.Sc. students of Department of Astro-Physics, University of Mumbai and Helios Astronomy Group, Mumbai. The set up was found to be extremely useful by these students in performing their experiments on Solar Corona studies. The experiment was conducted in Hawgzhou & Wuhan cities of China. Prof. A.M. Narsale and Dr. R.D. Tewari delivered invited talks in this regard at the Cultural Centre of Russia on 10th July 2009.